The terms “family violence” and “domestic violence” are often used interchangeably and cover a variety of different crimes. Assault on a family member, continuous violence against the family and interfering with a 911 call are all considered types of domestic violence. The state of Texas takes family violence cases very seriously. A family violence allegation can, besides leading to a jail or prison sentence, adversely affect access to your children and possibly cost you your employment or professional licenses. Someone who is not a United States citizen and who has a family violence conviction can face loss of status, exclusion or deportation. When charged with a family violence offense, it is crucial to consult a qualified attorney as soon as possible. If you would like a free consultation to discuss your situation with a qualified attorney, please contact the Neal Davis Law Firm as soon as possible. It is a crime to intentionally, knowingly or recklessly cause any bodily injury to another person. Bodily injury encompasses anything that can be considered “physical pain ... or any impairment of physical condition.” For example, scratching, bruising or causing redness to the skin of another person can be considered bodily injury. The term “recklessly” refers to unintentional harm, such as being aware of but consciously disregarding a risk. Throwing an object in the direction of another person and hitting them, even if it was unintentional, can be considered assault. Choking, or otherwise cutting off the complainant’s breath or circulation, is considered a more serious crime. This can occur, for instance, when someone grabs a necklace or shirt collar and temporarily cuts off another person's breath. (e) If conduct constituting an offense under this section also constitutes an offense under another section of this code, the actor may be prosecuted under either section or both sections." Causing bodily injury to another is a class A misdemeanor. Such a misdemeanor carries up to a year in jail and a $4,000 fine. Cutting off a person’s breath or circulation is a third-degree felony. Such a felony carries a term of imprisonment from 2 to 10 years, in addition to a fine up to $10,000. Denying that violence occurred is a viable defense strategy (i.e., “It never happened.”). Admitting that violence did occur, but only in self-defense, is another viable defense strategy. If a child is involved, claiming that reasonable force was used to discipline the child is necessary for defense. Sometimes there is a question as to whether the relationship qualifies as a dating relationship, a status necessary to warrant a family violence charge. With family violence charges, it doesn't matter if the person who made the allegations wants the charges dismissed. (Statistically, most accusers don't want charges to go forward.) Texas law holds that charges can only be dropped following an investigation. In Harris County, the Family Violence Division was established to handle these kinds of cases and will advance the charges even if the accuser has changed their mind or their story. For this reason, it is crucial to hire an attorney who has experience leveraging the accuser’s desire for dismissal along with other evidence to persuade the prosecutor to dismiss charges. Investigations in these cases often occur after the complainant or some third party (such as a neighbor) calls police. If the complainant tells the police that assault has occurred, the person accused will be arrested. An accusation alone is enough to warrant an arrest. Occasionally, the person who makes the accusations will wait several days or even months to report the alleged assaults. Despite delayed accusations, police will routinely file charges. If charges are filed, the defendant will be arrested and taken to jail. In jail, the defendant will often see a magistrate who may set a bond. If the jail magistrate does not set bond, the defendant will go to court and the trial judge will set a bond. It is a crime to intentionally, knowingly or recklessly cause another person serious bodily injury, or to use or display a deadly weapon. "Serious bodily injury" means any injury that creates a substantial risk of death or that leads to death, or that causes serious permanent disfigurement, impairment or loss of function of any body part or organ (such as loss of hearing after being hit on the ear). It can also involve using or showing off a deadly weapon during an assault. (b) An offense under this section is a felony of the second degree, except that the offense is a felony of the first degree if: (1) the actor uses a deadly weapon during the commission of the assault and causes serious bodily injury to a person whose relationship to or association with the defendant is described by Section 71.0021(b), 71.003, or 71.005, Family Code." Aggravated assault on a family member is a first-degree felony. Such a felony carries a term of imprisonment up to 99 years or life, plus a fine up to $10,000. Denying that violence occurred is a viable defense strategy (i.e., “It never happened.”). Admitting that violence did occur, but only in self-defense, is another viable defense strategy. If a child is involved, claiming that reasonable force was used to discipline the child is a possible defense. Sometimes there is a question as to whether the relationship qualifies as a dating relationship, a status necessary to warrant a family violence charge. It is a crime if a person intentionally, knowingly or recklessly injures another person who is either a member of their family or in dating relationship with them two or more times within a year. The same family member does not have to be involved in all the alleged incidents. Bodily injury encompasses anything that can be considered “physical pain...or any impairment of physical condition.” For example, scratching, bruising or causing redness to the skin of another person can be considered bodily injury. The term “recklessly” refers to unintentional harm, such as being aware of but consciously disregarding a risk. Throwing an object in the direction of another person and hitting them, even if it was unintentional, can be considered assault. "Family" includes related individuals (including relatives by blood or affinity), such as spouses or former spouses, people who are the parents of the same child (without regard to marriage), and foster children and parents—without regard to whether those individuals live together. "Household" means a unit composed of people living together in the same dwelling, without regard to whether they are related to each other. "(a) A person commits an offense if, during a period that is 12 months or less in duration, the person two or more times engages in conduct that constitutes an offense under Section 22.01(a)(1) against another person or persons whose relationship to or association with the defendant is described by Section 71.0021(b), 71.003, or 71.005, Family Code. (d) A defendant may not be charged with more than one count under Subsection (a) if all of the specific conduct that is alleged to have been engaged in is alleged to have been committed against a single victim or members of the same household, as defined by Section 71.005, Family Code. (e) An offense under this section is a felony of the third degree." Continuous violence against the family is a third-degree felony. Such a felony carries a term of imprisonment of 2 to 10 years, plus a fine up to $10,000. When repeated bodily injury occurs against a child (someone 14 years or younger), the defendant is usually charged with injury to a child, not continuous violence against the family. Denying that violence occurred is a viable defense strategy (i.e., “It never happened.”). Admitting that violence did occur, but only in self-defense, is another viable defense strategy. If a child is involved, claiming that reasonable force was used to discipline the child is necessary for defense. Sometimes there can be a question as to whether the relationship qualifies as a dating relationship, a status necessary to warrant a family violence charge. With family violence charges, it doesn't matter if the person who made the allegations later wants the charges dismissed. (Statistically, most accusers don't want charges to go forward.) Texas law holds that charges can only be dropped by following an investigation. Charges of "interfering with emergency request for assistance" are sometimes filed along with family violence charges. This can occur if someone tries to hang up the phone or otherwise stop another person while they are trying to call 911. The law also applies if someone interferes with another person while they are trying to call or reach a doctor, hospital, agency or shelter. "(a) An individual commits an offense if the individual knowingly prevents or interferes with another individual's ability to place an emergency call or to request assistance, including a request for assistance using an electronic communications device, in an emergency from a law enforcement agency, medical facility, or other agency or entity the primary purpose of which is to provide for the safety of individuals. (d) In this section, 'emergency' means a condition or circumstance in which any individual is or is reasonably believed by the individual making a call or requesting assistance to be in fear of imminent assault or in which property is or is reasonably believed by the individual making the call or requesting assistance to be in imminent danger of damage or destruction." On its own, interfering with a 911 call is a class A misdemeanor, with a punishment of up to a year in jail and a fine up to $4,000. Prior convictions can make it a felony. As with other family violence offenses, denying that the incident occurred is a viable defense strategy (i.e., “It never happened.”). Because it falls under "offenses against public order and decency," questions about the circumstances, reasons for acting (self-defense or reasonable force), or relationship between the accuser and accused do not provide viable strategies for defense. As part of their investigation, police will attempt to interview the person accused. They may attempt to interrogate them at the scene of the alleged events, or if allegations are made later they may call or request an interview claiming they want to “hear the defendant’s side.” Police will often record this conversation to be used as evidence to support charges. Police are trained to be skilled interrogators. Some officers are so effective that they can coerce false confessions from suspects. Often, police have already decided to file charges and will attempt to get the accused person to provide information that will hurt their chances of being proven innocent. To protect the outcome of the investigation, it is important that the person accused does not speak to police. A defense lawyer will conduct an investigation as well, which will include talking to the police. The lawyer can determine whether cooperating with police can help or hurt the case. Initially, a person charged with a family violence offense may be given either no bond or a high bond until a judge enters a Temporary Restraining Order against the accused person, at which time the bond is significantly reduced. For example, bond might initially be set at $50,000, but reduced to $5,000 when a Temporary Restraining Order is entered. IN SITUATIONS LIKE THESE, THE PERSON ACCUSED WOULD BE WISE TO WAIT TO HIRE A BONDSMAN UNTIL THE BOND IS REDUCED. For most offenses, including family violence offenses, a defendant is entitled to bond pending resolution of the case. Texas Code of Criminal Procedure Article 17.15 states the factors that courts must consider in setting a bond. The trial court cannot set just any bond. The court must set a reasonable bond. If the bond is unreasonable, then the defendant can appeal. These appeals are “expedited” or sped up, since the defendant is in custody. Defendants usually hire a bonding company to post the bond. Bonding companies typically want the defendant to pay ten percent or so of the total bond amount and put up some collateral to make sure the defendant does not jump bond (e.g., fail to appear in court). For example, if the trial court sets a $20,000 bond, a bonding company might charge $2,000 and require the remaining bond amount to be secured by property, such as a house. Investigations in family violence cases often begin after the complainant or some third party (such as a neighbor) calls police. If the complainant tells the police that assault has occurred, the person accused will be arrested. An accusation alone is enough to warrant an arrest. Occasionally, the person who makes the accusations will wait several days, or even months, to report the alleged assaults. Despite delayed accusations, police will routinely file charges. As part of their investigation, police will attempt to interview the person accused of violence. They may attempt to interrogate the individual at the scene of the alleged events, or if allegations are made at some point afterward, they may call or request an interview claiming they want to “hear the defendant’s side.” Police will often record this conversation to be used as evidence to support charges. Police are trained to be skilled interrogators. Some officers are so effective that they can coerce false confessions from suspects. Often, police have already decided to file charges and will attempt to get the accused person to provide information that will hurts their chances of being proven innocent. Some people mistakenly believe that hiring an attorney will make them look guilty. This is not true and can lead to unfortunate consequences. It is a defense attorney's job to protect the rights of a person accused of committing a crime. Police officers hire attorneys themselves when they come under investigation, and they understand that even innocent people need an attorney to help guide them through a process that is both foreign and frightening. Police often engage with defense attorneys, and it is not unusual for police to decline charges once they have been convinced by a defense attorney that prosecution is not warranted. Q: I have been arrested for a family violence offense. What should I do? Q: Won’t it look bad to police if I hire an attorney if I’m being investigated? Q: If it’s just the word of my spouse (or boyfriend/girlfriend) against mine, where’s the evidence? A: An accuser’s word alone is evidence and is sufficient to file charges and even convict the person accused. That is why it is crucial, since the case hinges on the accuser’s credibility, that the defense lawyer is uniquely qualified to investigate and defend these cases. Q: The judge has entered a Temporary Restraining Order against me, but I live with the person who accused me. What should I do? A: An experienced defense lawyer will often be able to have such orders successfully removed or amended. 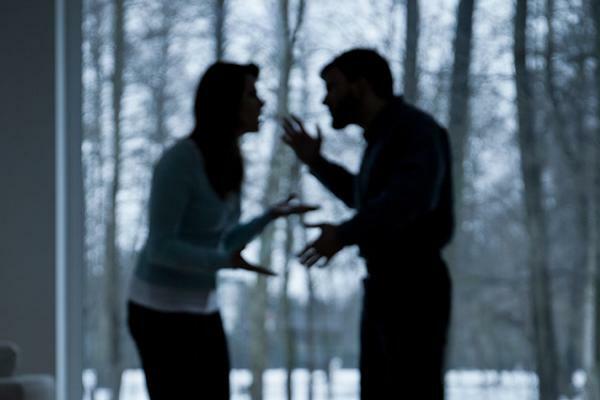 Contact a qualified family violence attorney as soon as possible to determine next steps. A: The emotional toll of a family violence allegation can be overwhelming. Consulting a reputable mental health provider can help you deal with the stress. Over the many years of handling these cases, we have developed strong personal relationships with outstanding mental health experts and can suggest someone who can help you through this time. A: A family violence case can take anywhere from a few months to two years to resolve. Prosecutors in larger counties (such as Harris County and surrounding counties) have many cases to address, and they prioritize older cases over newer ones. An effective defense investigation often takes time, and includes obtaining audio statements, medical records, background information of the person making the accusations, as well as interviews. Cases are set for trial depending on their age, and whether the defendant is currently being held in custody. If a defendant is suspect in a newer case and is out on bond, their case will not be at the front of the line to be tried quickly. A: It is not unusual for a person to hire a lawyer shortly after being accused of a crime—sometimes because the lawyer is inexpensive—and later make the unfortunate discovery that the lawyer is not adequately qualified to handle a case as serious and complicated as a family violence case. At this point, there is no question that it is wisest to hire a more qualified lawyer to step in and take over the case. This happens frequently. The new lawyer contacts the first lawyer and informs them of the client’s decision. The new lawyer then handles the case from that point forward. 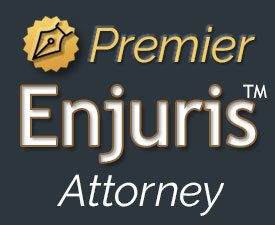 The custom and practice of Texas criminal attorneys is to generally charge a flat fee. We typically charge one fee to handle the case up to the point of it being set for trial, then an additional fee if the case is set for trial. The client is responsible for any expenses, such as experts, and any bond. The benefit of a flat fee is that clients know, at the outset, how much to pay an attorney, and there will not be any surprise monthly billing statements based on hours spent. A: Ethically, no attorney can guarantee any outcome, but we can guarantee that we will do everything we can to achieve the best possible outcome for your matter. While each case is different and involves its own unique set of facts, we have a proven track record of obtaining extraordinary results in all types of cases. We are proud of our record of dismissals in misdemeanors and felonies in state and federal court.